A-1 Asphalt Inc. has successfully helped hundreds enjoy quality asphalt surfaces for over 30 years! Whether your home needs a new driveway, your parking lot needs resurfacing or your subdivision road or golf course path needs replacement, the asphalt contractors at A-1 Asphalt Inc. have you covered. We are fully insured, a Better Business Bureau Accredited Member and MDOT Pre-qualified. 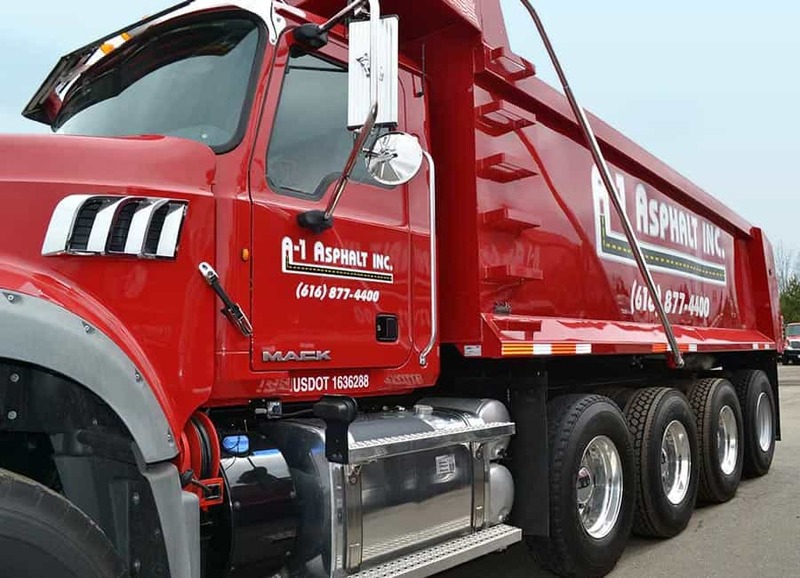 From the smallest asphalt patching repair to large commercial parking lots, our goal to provide quality workmanship, durability and value to every customer throughout Grand Rapids, Kalamazoo and West Michigan remains strong. We provide asphalt paving services to West Michigan including; Grand Rapids Asphalt Paving, Kalamazoo Asphalt Paving, Wyoming Asphalt Paving, Caledonia Asphalt Paving, Grandville Asphalt Paving, Jenison Asphalt Paving, Hudsonville Asphalt Paving, Wayland Asphalt Paving, Hastings Asphalt Paving, Ionia Asphalt Paving, Greenville Asphalt Paving, Holland Asphalt Paving, Grand Haven Asphalt Paving, Saugatuck Asphalt Paving, Portage Asphalt Paving, Battle Creek Asphalt Paving, Plainwell Asphalt Paving, Ada Asphalt Paving, Lowell Asphalt Paving, Middleville Asphalt Paving, Byron Center Asphalt Paving, Allegan Asphalt Paving, Zeeland Asphalt Paving, Allendale Asphalt Paving and Portland Asphalt Paving.